Scout came to me as a rehabilitation case from one of my clients. He hasn’t had the best start in life and is insecure around dogs and strangers, although these are both improving massively with desensitisation work and patience. 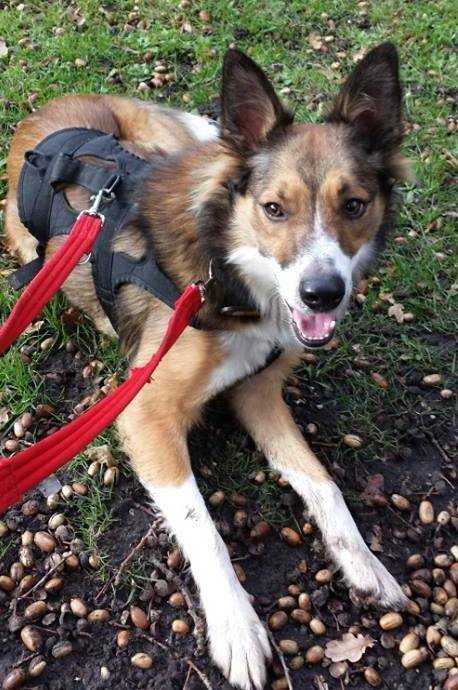 Scout would suit people who have experience of young dogs or collies who are home more than I am. He cannot be rehomed with cats or young children. Within the home he’s a delight and loves nothing better than giving ear kisses and playing with his toys. He can be left for 4-5 hours and is crate trained, sleeping in his crate overnight. He adores his ball, can be let off lead, and has started doing bits of agility and scentwork. He will make a super dog for someone with time and patience. Scout deserves a forever home with a sofa and a comfy bed, alongside people who love him, but are home more than I can be. Currently kept in Fleet, Hampshire. If someone local takes him on I will continue to assist with training for free.